“… these United Colonies are, and of Right ought to be Free and Independent States; that they are Absolved from all Allegiance to the British Crown, and that all political connection between them and the State of Great Britain, is and ought to be totally dissolved; and that as Free and Independent States, they have full Power to levy War, conclude Peace, contract Alliances, establish Commerce, and to do all other Acts and Things which Independent States may of right do. Not just a list of grievances, the Declaration of Independence is also a checklist for good government. 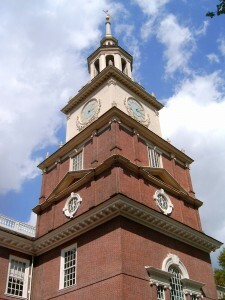 Its approval and adoption by the Continental Congress on July 4, 1776 in Philadelphia (woot woot!) marks the beginning of a new nation, the United States of America. It’s easy to take the ideological stories of the birth of our nation and its heroes for granted as they have been taught to us since elementary school and romanticized in movies and television. But have you, as an adult, visited the Liberty Bell or Independence Hall (where the Declaration and its forebear, the Articles of Confederation,) were debated? Or walked the streets near Declaration House at 7th and Market where Thomas Jefferson wrote the document? Have you ever read or researched with a critical eye, materials that dig deeper into the symbolic, mythical and political realities of the document’s history? The following links, curated by history liaison librarian, Jutta Seibert, are great scholarly resources for getting beyond the myths and into the historical context of the American Revolution. Why not take some time this July 4th weekend to explore some of Falvey’s many resources written about that time? She’s also included authentic primary materials from the Digital Library, to truly complete your step back into history. Falvey Memorial Library has a strong collection of primary sources about this monumental period in American history. Here are some suggestions from the library’s digital collections. Additional primary sources, available in print or microform only, can be discovered with the help of the library’s online catalog. This collection brings together scholarly digital editions of the papers of major figures of the early republic: George Washington, John Adams, Thomas Jefferson, James Madison, Dolley Madison, Alexander Hamilton, Eliza Lucas Pinckney and Harriott Pinckney Horry. Follow the War of Independence and the birth of a new nation in contemporary newspapers. Follow the events of the American Revolution from a local perspective. Read the first magazines published in the American colonies and in the early republic. Digital copies of over 37,000 books and pamphlets published and sold in the American colonies and the early republic. Digital copies of over 36,000 books and pamphlets published and sold in the early republic. Digital copies of works about the Americas published throughout the world from 1500 to the early 1900’s. 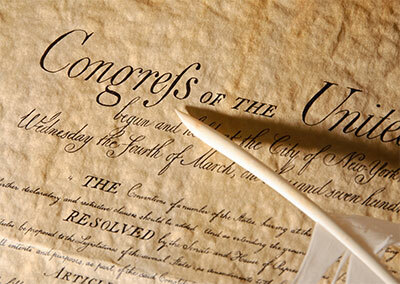 Legislative and executive documents of the first 14 U.S. Congresses. Links and resources prepared by Jutta Seibert, team leader for Academic Integration and subject librarian for History. Introduction by Joanne Quinn.